Water resource is one of the major constraints to agricultural production in central and western Inner Mongolia, where are characteristic by arid and semi-arid climate. Reference crop evapotranspiration (ET 0) is an important part of water cycle in agricultural ecosystem, which has a direct effect on crop growth and yield. The implications of climate change on ET 0 are of high importance for agriculture regarding water management and irrigation scheduling. 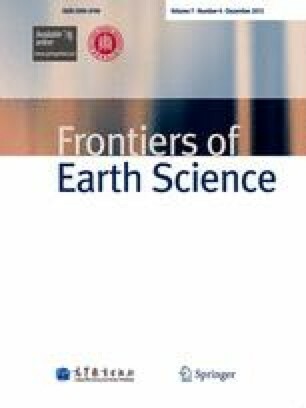 The aim of this study was to analyze the variations in climate and its effect on ET 0 in central and western Inner Mongolia over the period 1961 to 2009. For this purpose, data in ten meteorological stations across study area were collected and the FAO Penman-Monteith 56 method was used. Results showed that the average temperature, maximum temperature and minimum temperature increased by 0.49°C, 0.31°C and 0.70°C per decade during 1961–2009, respectively. In comparison, the daily temperature range decreased by 0.38°C per decade. The air relative humidity, sunshine hour, and 10-m wind speed decreased generally by 0.58%, 40.11 h, and 0.35 m/s per decade, respectively. Annual mean ET 0 decreased significantly at a rate of 12.2 mm per decade over the periods, this was mainly due to the decrease in wind speed in the study area. The decrease in wind speed may balance the effect of the increase in air temperature on ET 0. Variations in spatial distribution of ET 0 and its main controlling factor were also detected among ten stations. Our results suggested that spatial and temporal distribution of ET 0 should be considered regarding the optimization of water resource management for agriculture in central and western Inner Mongolia under foreseen climate change.